Food has taken up a lot of my time and energy for most of my life. The first time I became aware that food was a “thing” for me, I was probably about 8 or 9. I still vividly remember my grandparents buying me different post-school snacks than my sister because they were lower calorie. Their hearts were completely in the right place but it brought my attention to the fact that due to my body, I was restricted from eating certain foods. Wow, even looking at this list frightens me. The amount of money, energy and time that I spent to make my body thinner. And I bet you can guess what happened. Sure you lose weight initially with the calorie restriction but then you put it all back on plus more! That’s how the diet industry works! That’s why it’s worth over £2 billion a year in the UK and over $66 billion in the US. It took me until I was 31 (about 2 years ago) to finally give up on the whole diet industry. I smashed up my scales and made a promise to myself never to weigh myself or diet again. I had spent way too much of my mental energy worried about what I should eat, what I shouldn’t eat, feeling guilty about what I have eaten. You get the picture. I realised I had much more important things to think about and things to do than worry about food and losing weight. Diet is a very loaded word but actually all it is, is the food that you consume. Food is fuel. It is not inherently good or bad. It’s just food. We are the ones that attach so much emotion to it. It makes absolutely no sense that we would need the same foods. 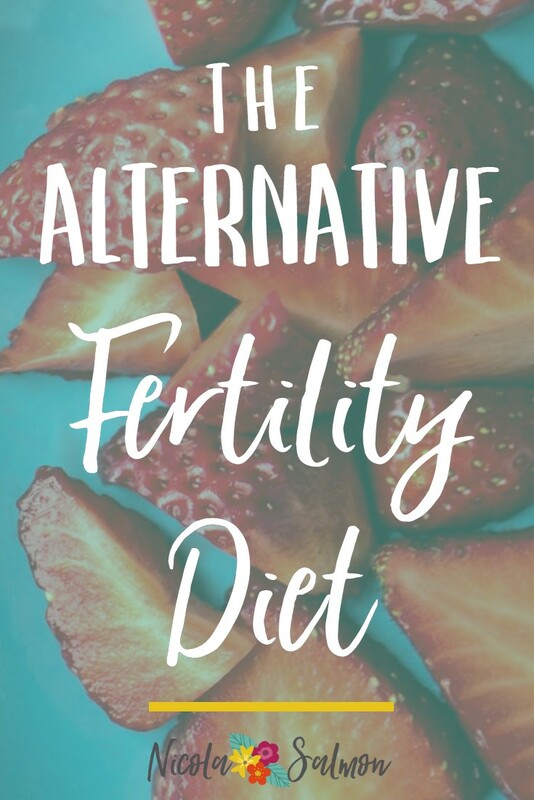 You do not need a fertility diet. You need a fertility un-diet. Tools to work out what foods suit your body. Techniques to understand what eating patterns make you feel great and what habits are killing your sleep and energy. Sure it’s easy to follow a diet plan for a while, but it just feeds more and more into the mindset of basing your worth around food. When food is good or bad, you give yourself another stick to beat yourself with. So how can you figure out the right foods for you when you’re trying to get pregnant? What if you need to lose weight? The good news is that our body already know what it need to feel healthy and therefore fertile. Being fertile is not a different level we need to achieve, eating well for your body will naturally get you there. Look for patterns – Use the information you’ve collected to look for patterns. How does the food your eating affect you energy or mood? How does your sleep affect what food you choose for breakfast? Are there any foods that correlate to particular symptoms? Food has a huge and individual impact on our health so by learning to listen to our bodies, we are in the best position to make positive health choices. Notice how you think about food – A lot of our decisions around what and when we choose to eat are based on beliefs we carry about food. Do you eat when you are hungry or when it’s mealtime? Do you choose what you eat based on how you feel or what’s easy? Our thoughts and beliefs play a huge role in how we nourish ourselves with food but most of it is automatic – we have no idea it’s going on. Becoming more aware of why we choose to eat is essential so that we can choose whether we want that last piece of chocolate or not instead of just mindlessly ramming it into our mouth.